After Dr. Vincenz Czerny made his first attempt at a breast augmentation procedure, numerous pioneers have developed new surgical methods and contributed toward the development of the breast augmentation field. Thomas Cronin and Frank Gerow were the first to utilize silicone implants in a breast augmentation procedure, while Dempsey, Latham, and Griffiths too tested various methods; Regnault, Hoehler, Eiseman, Ho, and Price also contributed greatly in the development of the breast augmentation surgery. During the beginning stage of the twenty-first century, in 2001, Tebbetts published the concept of dual plane where the conceptualization of the relationship between the implant and the soft issue of the procedure was established. 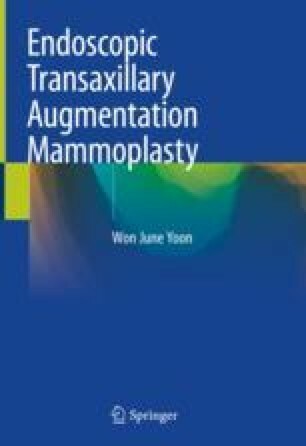 The author has studied from these exemplary senior surgeons and established a foundation of knowledge to further develop and improve the surgical methodology in endoscopy for the field of augmentation mammoplasty.